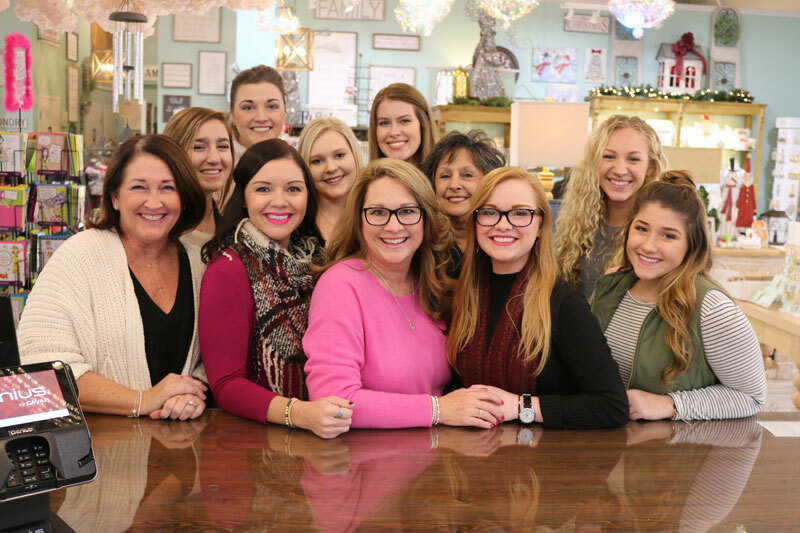 The Trendy Trunk is a small boutique based in Hendersonville, Tennessee that provides customers with merchandise that is always on the top of style curve. From home décor to baby items, clothes to unique one-of-a-kind trinkets, the store is a labor of love that keeps on giving. The store opened on April 13th, 2007 and remains founder-owned and operated. We strive to provide a unique shopping experience for customers; however that truly only skims the surface of our mission. The Trendy Trunk was founded off a woman who gained joy, strength, passion, and life from pursuing her dream, so it only makes sense that our goal and intent is to pass on those things to each and every person who walks into the store. Whether it be buying from vendors who work closely with charities, or simply carrying merchandise with scripture or empowering words of encouragement, we seek to bring light & joy to every person we encounter. In addition to lifting up our customers, we also strive to empower and support our community through fundraisers, charity events, and donations to various groups and causes. We are so thankful to have been blessed with this opportunity, and want nothing more than to give back as much as we can to our people and our city. Oh, and we’re trendy. That, too. Owner Deanna Williams has held many titles in her life: daughter, big sister, wife, soccer mom, best friend…the list goes on. Though she was born in Riverside, California…Deanna is nothing short of a southern girl and made it official after finally making Nashville her home in 1986. In 1999, she joined with her best friend to create D & D Designs, a small project that utilized her seamstress background to provide unique home creations like pillows and curtains, as well as selling jewelry. The project, run by two busy moms, was successful but remained small, being run primarily out of SUV trunks, extra rooms in houses, or at merchant booths in seasonal markets. Then, after 3 years of laughter and fun, the duo decided it was time to put the business to rest and move on to bigger and better things. For Deanna, this meant moving to another project, Chik Sak, that she ran with her mother who had recently moved to Tennessee. The mother-daughter team created and patented a design for purses that was incredibly successful- even receiving orders from London and the Ukraine! As with most projects, though, the energy and excitement that brought the business to fruition began to fade over time, and again, it was time to hang up the aprons. Deanna and her mother loved working together, but she was also very busy being a mother herself. Amongst soccer tournaments, band rehearsals, math club meetings, marching competitions, and literally everything in between, she made sure her two teenage kids were taken care of in every way possible. It was a few years later, in 2006, when her eldest son took on chauffeur duties and her daughter became the homework enforcer, she realized that she had the opportunity to really pursue something she had been dreaming about…so she did. She began the planning process with her husband, Dana Williams, and the two worked tirelessly to make her dream a reality. On Friday, April 13th, 2007- her dream of owning her own brick & mortar store came to life when The Trendy Trunk opened its doors for business.